With AiO-Connect we developed the expert interface to connect Magento with any ERP-Systems, like Odoo. AiO-Connect works automatically an reliable. Other Magento and Odoo Connectors require modifications from Odoo and/or Magento. AiO-Connect is a middleware, this means it gets installed beside Magento and Odoo and there are no installations, in form of modules or extensions needed. 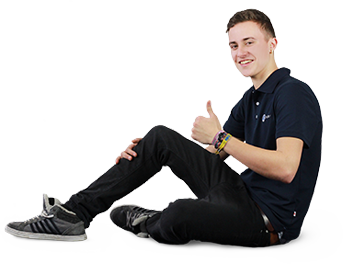 Because of those reasons the AiO-Connect system is really reliable and safe. Which versions of Odoo and Magento are supported? 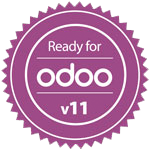 At this time Odoo/OpenERP 7, Odoo v8, Odoo 9, Odoo 10 and Odoo 11 are supported as well as Magento Community from version 1.6. The Magento Enterprise Edition is also supported from version 1.11. 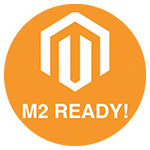 And YES, Magento 2 is already supported since end of 2016! A reliable and stable solution offers our middleware System: AiO-Connect. It connects Magento with ERP-Systems. The Magento Shop and the ERP-System are connected over a third Software, which does the synchronization without any integration into one of both systems. so none of those systems has to be changed due add-ons or extensions. This gives you the security of problem-free updates or upgrades. The performance is really good because we are using the existing interfaces (webservices or API). Since 2004 we are specialized on E-Commerce with ERP integration. Our experience from many different projects takes place in AiO-Connect. Beside the Magento connector to the leading Open Source ERP system Odoo, we successfully connected other ERP systems, like:. One really important aspect during the development of AiO-Connect was the maximum of flexibility to accomplish specific project requirements. This software concept allows us, to customize the connector for you and your individual business processes.